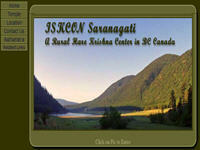 The official website of ISKCON Saranagati, a Rural Hare Krishna center in Canada. The main deities at this center are Sri Sri Gaur Nitai. Category Canada, Farm Communities April 30, 2012 by ISKCON Desire Tree.